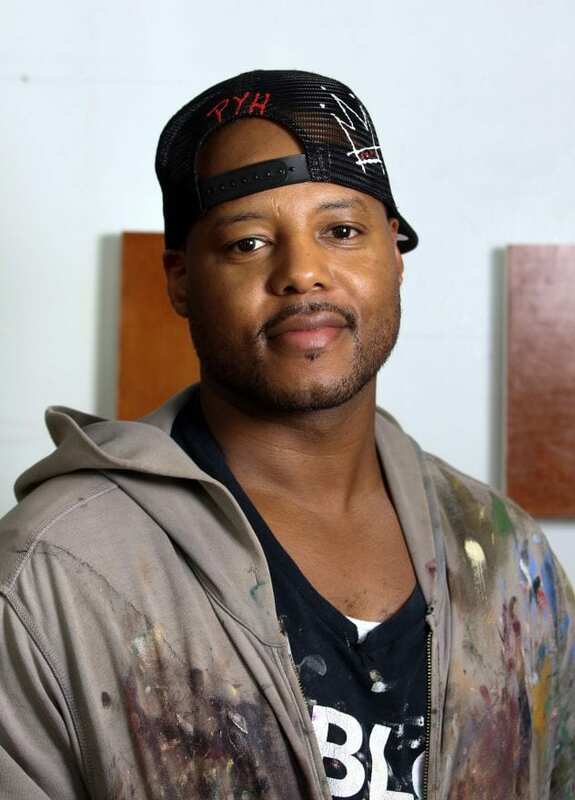 SAN JOSE, CA – The MacArthur Foundation announced its 2018 MacArthur Fellows October 4, with San Jose State University Alumnus Titus Kaphar, ’01 B.F.A., among this year’s recipients of the “genius” award. Kaphar is an artist whose paintings, sculptures and installations explore the intersection of art, history and civic agency. This is especially on display in the work he calls the Jerome Project, inspired by his father. His father, whose first name is Jerome, was in and out of jail. At one point Kaphar searched for his father’s name online. He found his father’s mug shot, along with police photos of 97 men with the same first and last name. He began to paint the images to look like small devotionals that he then partially covered with tar. Much of Kaphar’s work highlights the lack of representation of people of color in the canon of Western Art with works that deconstruct the literal and visual structure of the artwork. His canvases often have top layers cut away to reveal hidden images underneath. He recalled that during his time as a university student he had one art history book that had a chapter focused on black people or people of color. 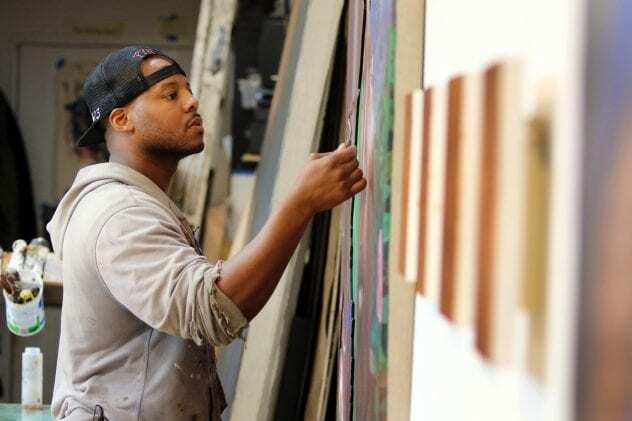 Kaphar’s work has been exhibited at MoMA PS1, the Studio Museum in Harlem, the Yale University Art Gallery, the Chrysler Museum of Art (Norfolk, Virginia), the Seattle Art Museum, the Smithsonian National Portrait Gallery, and Princeton University, among other venues; and he is represented in the collections of the Museum of Modern Art, Crystal Bridges Museum of American Art, the Pérez Art Museum Miami, and the Equal Justice Initiative Museum in Montgomery, Alabama, among other public collections. In addition to his artwork and installations, Kaphar is the founder and president of NXTHVN, pronounced Next Haven. The nonprofit is creating an artist community that will provide mentorship, studio practice and professional development opportunities for recent art school graduates. Kaphar is one of 25 Fellows selected for exceptional creativity, promise for important future advances based on past accomplishments and potential for the fellowship to facilitate subsequent creative work.